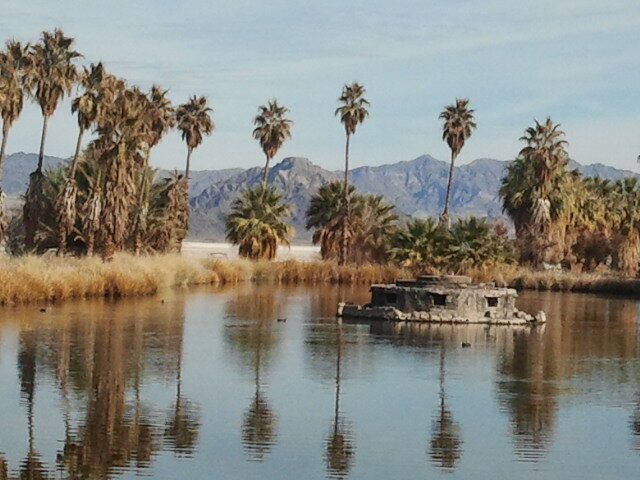 Zyzzyx Spring, Mojave National Preserve, CA. It’s fall here in Los Angeles, and that means one thing. We can once again head to the desert without imminent risk of death. 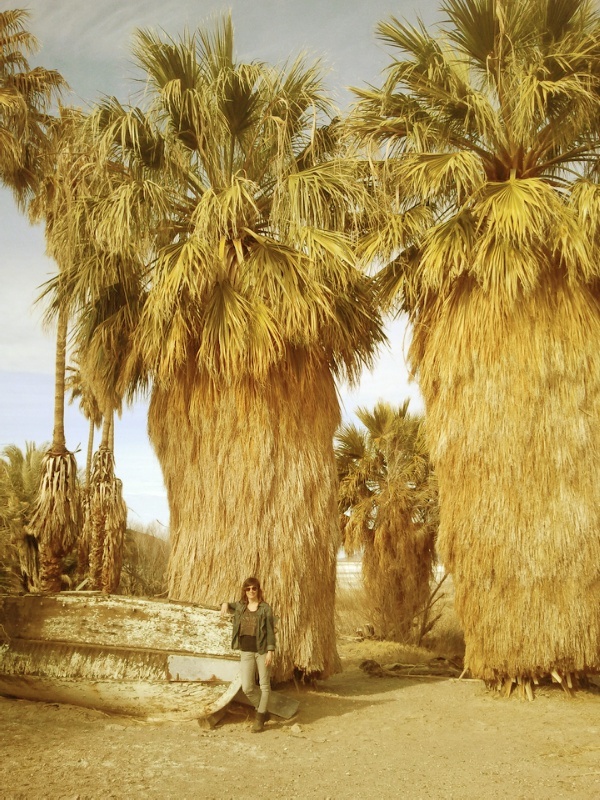 Sure, people go to the Southern California desert in summer. We flock to Burning Man and Coachella by the hundreds of thousands. But for both of those festivals, the driving sunlight, desert dirt, and actual danger to our health and well-being are part of the experience. Those factors compress it, make it more spiritual, debaucherous, or surreal. And while these feelings might be worthy of pursuing on your own, I for one am excited that it’s desert season. 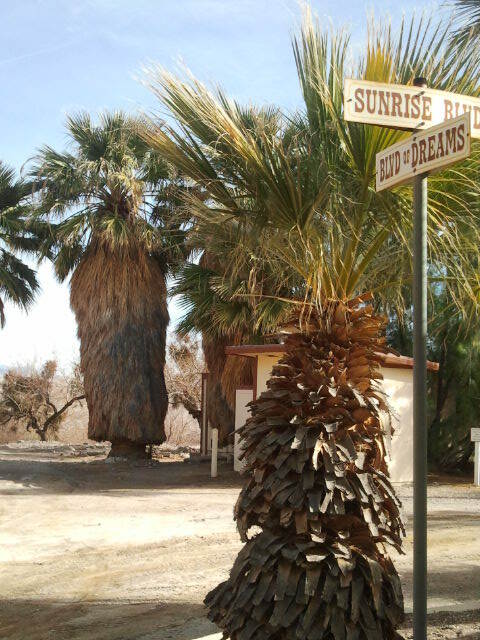 Just off Hwy 15 between LA and Vegas, on the western edge of the Mojave National Preserve, the Zzyzx Rd sign leads you down a dirt road to the old site of the Zzyzx Mineral Springs and Health Spa. The drive from LA to Vegas is long and boring. We all know the scene from Swingers. “Vegas, baby, Vegas!” Vince Vaughn and Jon Favreau chant enthusiastically as they begin the drive and get amped up for a weekend of gambling and decadence. They’re still chanting as we cut to them after hours in the car, but now it’s a glassy-eyed mumble, Vegas still miles ahead on the desert highway that never seems to end. It’s never as close as you think it is. 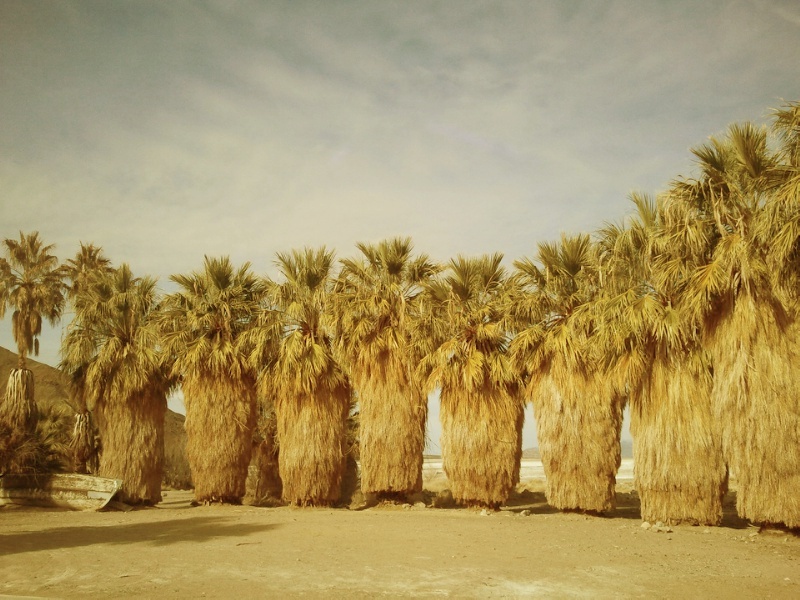 The desert is a place to build dreams from ghost flowers and tumbleweed. In the case of Curtis Howe Springer, it was a place to build his empire of quackery and cures. From 1944 to 1974 people flocked to his fake hot springs, heated by a boiler but fed by a real spring, Soda Spring. The desert is a place to sell those dreams. The hopeful guzzled his special cures and life-prolonging “Antedeluvian Tea”, and those reclining in the cross-shaped health spa tubs lapped up his evangelist sermons, blasted from loudspeakers. The desert is a place of extremes, blinding heat and searing cold, dirt and sky, heretics and faithful. We see that certain slant of light here in Los Angeles. 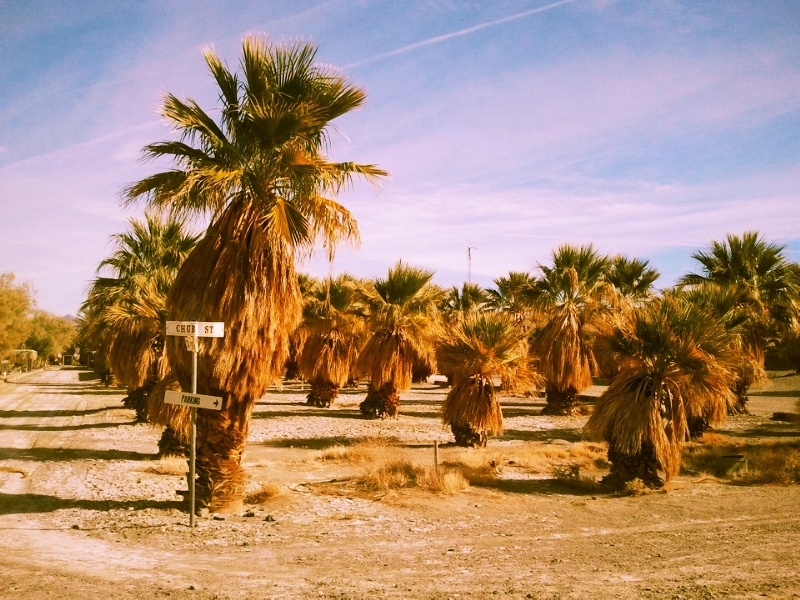 It means fall, and we head to the desert, with plenty of water and a shade source, to see the crumbling remains of utopia or to build our own. You have some great locations on your site! Our paths have definitely crossed.